Design the exact cardboard box you need to store, transport and display your product with Perennial Packaging. Whether you need stackable cardboard trays, or flat fold corrugated cartons, plain cardboard sheets and dividers, or even product display shelving and boxes, our team can help to create a unique package that is both structurally practical as well as visually reflective of your brand. Our consultative approach ensures we extract the most value through each stage of the process to offer you cost effective packaging that is fit for purpose. In order to meet your exact requirements, we’ll collaborate with you from inital design consultation, to artwork and graphics assistances, to product manufacturing and throughout the supply chain right through to delivery of your customised corrugated cardboard box. With endless combinations of shapes, sizes and styles to choose from, the task of creating a customised cardboard box can be daunting and time consuming, especially if you are designing from scratch. So let our experts guide you through the process to deliver a seamless transition to market, leaving you with more time to focus on growing your product and business. Perennial Packaging currently services local manufacturers, growers, wholesalers, and retailers across Australia. 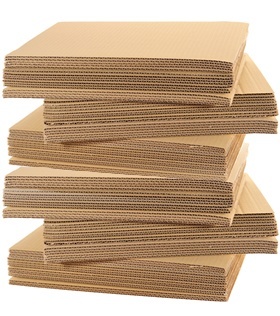 Our cardboard packaging products are suitable for an extensive range of products including industrial chemicals and dangerous goods, fresh fruit and vegetables, processed foods and beverages, pharmaceutical and medical products, fashion and cosmetics, and more. Fully customisable cardboard packaging in a multitude of shapes, styles and sizes – you choose from a library of various corrugated cardboard grades, materials, design features, graphics, and printing options for a completely unique cardboard box. Additional elements are available to make your tray or box funtional, stronger and more user friendly include handles, carry holes, partitions or dividers, partial display windows, and locking tabs. Printing options include mono printing, single colour or full colour printing, flexographic printing, lithographic printing and silk screened printing processes. Plain or printed cardboard packaging to suit your labelling or branding requirements. For more information on our cardboard packaging solutions, Contact Us today to discuss your packaging requirements in detail.